Return back to Seattle Web Design homepage. Step#2: It will open a box where you can mention the width and height for your navigational menu. 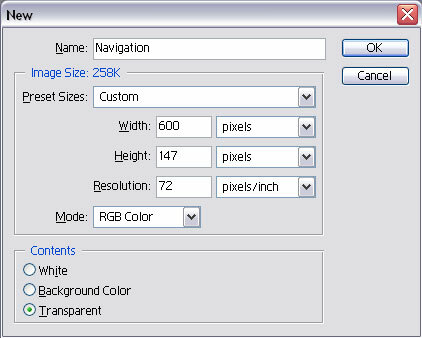 I have chosen 600 (width) x 147(height) pixels at a resolution of 72 pixels/inch. Mode is RGB and background is transparent although you can choose white as well. Name of the file is Navigation. Step#3: Here’s the interesting part. You need to think of the color for your navigation menu. You can choose a single color or two colors. I chose 2 colors: The foreground color is #1C61A6 while background color is # 519FEC using the color picker. Both are shades of blue. 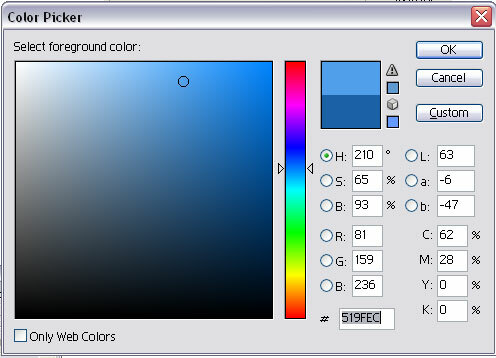 Note: You can choose the color picker by simply clicking on the color boxes shown in the Photoshop menu as shown above. 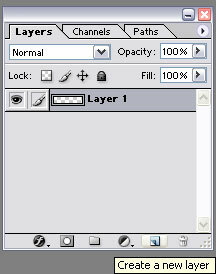 Step#4: Now choose a new layer by clicking on the layer icon on the layer’s palette as follows. Once the new layer is there, pick the Gradient tool from the Photoshop tool bar. | Services| Portfolio | Contact Us. Start by creating a new layer (layer 4) and use the rectangular marquee tool. Make a selection of one pixel. Now reverse the colors (foreground and background) that we had used for the Menu. So your foreground color will now be # 519FEC and the background color will be #1C61A6. 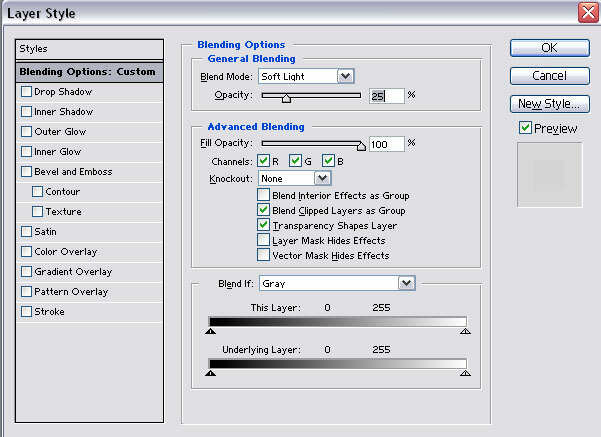 Pick the Gradient tool (linear gradient) again and drag from to bottom of the selection. Step#13: To enhance it a little more, I opened another layer. I took the Pencil tool and using # ECE6EC as my foreground color, I drew a thin line just above the dark blue border I had just created. Now it looks like this. You can use different colors for the Navigational menu depending on your choice.